One of the most important topics in any language is family. 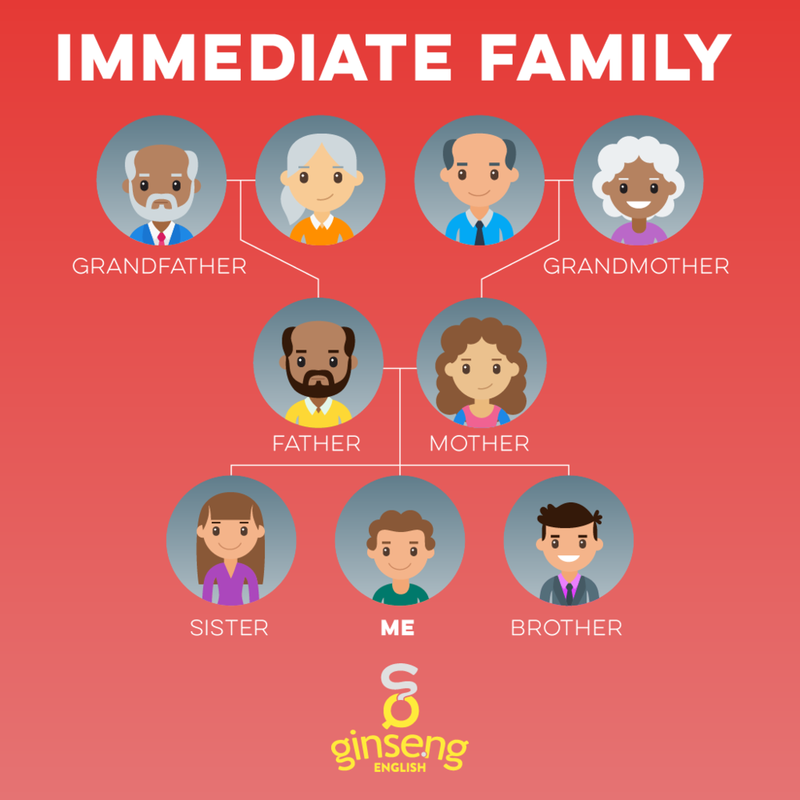 This post will discuss vocabulary we use to talk about your immediate family. Immediate means very close in this situation. In a future post, we will talk about your bigger extended family. First, let’s talk about parents. Parents are the people who take care of us when we are babies. A parent who is a man is called your father. A parent who is a woman is called a mother. Some families have a mother and a father. Some families only have one father or one mother. And some families have two mothers or two fathers. A more familiar word for father is dad. Children might say daddy. A more familiar word for mother is mom. Children sometimes say mommy. Your parents’ parents are called your grandparents. Your father’s mother or your mother’s mother is called your grandmother. Your father’s father or your mother’s father is called your grandfather. Most people have two parents and four grandparents. If your parents have more than one child, then you have siblings! A male sibling is called your brother. A female sibling is called your sister. If you have no siblings, then you are an only child. I have 2 brothers and 2 sisters. Notice that we generally use the simple present when talking about family members. If you get married or live with a boyfriend or girlfriend, this person can be part of your immediate family, too. All the employees and their partners are invited to joing us for dinner. My wife is pregnant. We’re having twins. If you are not married, but are dating someone, you can use the word boyfriend for a man, or girlfriend for a woman. It is okay to use these words when you are an adult, but some people think that the words boy and girl in them sound immature, so they prefer partner. If you need a general word that includes husbands, wives, boyfriends, and girlfriends, then partner or significant other is the best word to use.